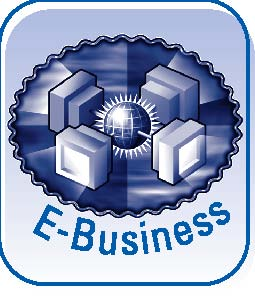 Recall that in E-Business we studied various e-business systems in great detail. Here, we will explore how these e-business systems can be used to penetrate global markets and allow a company to easily process international orders without a physical presence. Two success stories are discussed in Technology Application 10.2. In E-Business we discussed one of the great challenges to EDI being the inconsistent document protocols used by different countries to complete electronic transactions. (Refer to the discussion in E-Business and the example in Figure 4.7.) Varying standards can be a barrier to penetrating new global markets. In recent years, software has emerged to facilitate the translation between these differing standards. While such products enable the efficient use of e-business in the global marketplace, the costs can still be formidable for small and medium-sized companies. This barrier is finally being overcome through Internet access that can be used to facilitate e-business in an inexpensive format. What are some advantages of using EDI to support global sales activity? Queensland Rail in Brisbane, Australia, has recently entered the EDI marketplace in order to streamline the scheduling process for shipments. In the past, the railroad had great difficulty identifying incoming shipments before they arrived. Thus, they were ill-prepared to handle the shipments quickly, and unable in many cases to make arrangements with connecting shippers (for handling nonrail segments of the delivery process) for timely pickup. With the new EDI system operating exclusively over the Internet, customers make “electronic wagon consignment bookings” that are automatically communicated to the railway and other third parties—including the connecting shippers. The bookings are sent as e-mail attachments or through file transfer protocol (FTP) in EDI format. All paper-based scheduling is cut out, making freight information much more timely. Most importantly, the railway station staff know what is coming before it arrives and can plan accordingly. Lite-On Technology Corp. in Taiwan has been forced to adapt very quickly to the demand for EDI communication by global business partners such as IBM and Compaq Computer. Concurrent with the move to EDI, cycle time to process sales orders has shrunk from a month to two days or less. In the case of CD-ROM drives, customers demand shipping just four hours after orders are placed. This scenario is not atypical for Asian manufacturers in a host of different business lines. In order to cope, many Asian companies are reacting much like Lite-On has by developing factories in other countries, such as the United States. All of the manufacturing operations are linked with the home office. As orders are received in the Taiwan offices, the information is electronically redistributed to the closest manufacturing facility having the capacity to complete the order in a timely fashion. Much of the communication is handled via Internet transmissions. The demands of electronic commerce and speed of delivery have outpaced the importance of lower labor costs in the region. Sources: Mandy Bryan, “Old Rail Steams Ahead to E-freight,” Computerworld (April 3, 1998): 36; Jonathan Moore, “Racing to Get Asia Globally Wired,” Business Week (April 20, 1998). A variety of software solutions are now available that take a company’s business information transmitted over the Internet and convert it into EDI format. Likewise, when EDI information is transmitted to the company, the software translates the EDI format into an Internet transmission format that provides compatible business information for the organization’s systems. Another alternative is to use XML to encode business data in a generally accepted Internet transaction standard. XML, as presented in E-Business, is beginning to replace EDI standards in several industries, especially among Web-enabled large companies. In EDI systems, the user receives orders and sends invoices via a Web-based interface. The electronic messages are processed by an intermediary that serves the role of both translator between Internet and EDI forms and provider of value-added network (VAN) services with EDI-enabled companies (as were discussed in E-Business). Recent estimates have placed the costs of processing a paper-based order at $50 as compared to $2.50 to process the order using EDI and $1.25 using an Internet-based solution.1 Thus, companies using commerce-business may choose only to make purchases from vendors equipped to handle electronic orders. How does Internet-based EDI enhance sales opportunities with small and medium-sized companies?